Life has been hectic in ways that I didn't even plan for it to be, both emotionally and with work. I still got a decent amount of things finished, all things considered, though. WildStar stuff that isn't related to the community-at-large, or Wildcast (which I suppose is the community-at-large) have taken a bit of a wayside to everything else. Not that it's a bad thing, but I do feel kind of bad about it. I've been doing a lot of stuff related to WildStar, just most of it outside of the game, which is a weird contrast. 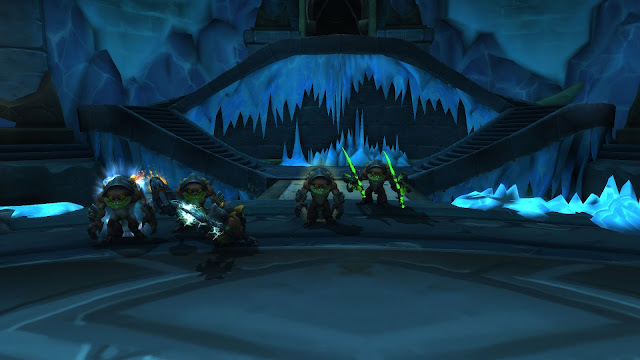 I finally finished out Stormheim, which I think is my least favorite out of all the zones in the Broken Isles. Which stinks, even as a Warrior. I think that might be why it was my least favorite. That you've done all this Warrior stuff, and it doesn't seem to mesh with Stormheim well. I've been trying to work my way through more of Suramar, and have slowly gotten through it (I think I hate it more than Stormheim), so I've unlocked more quests, but I really need to just finish the stupid zone. I got farther in professions than I thought I would. I'm stuck at 765 Blacksmithing, and all of my patterns are grey. So that stinks. Archaeology feels more grindy than I remember, granted, I never got it very high on Chestnut, so that's something to aim towards on Naught. Fishing is something I've been doing to kill time, plus I really want the Legendary fishing pole! First aid is getting there, slowly. I'm hoping as I get a higher level skill that my bandages will heal for more. I've hit a rut in mining, as well. Both of my Leystone and Felstone nodes are stuck at 1 star, despite lots of farming for the quest items. 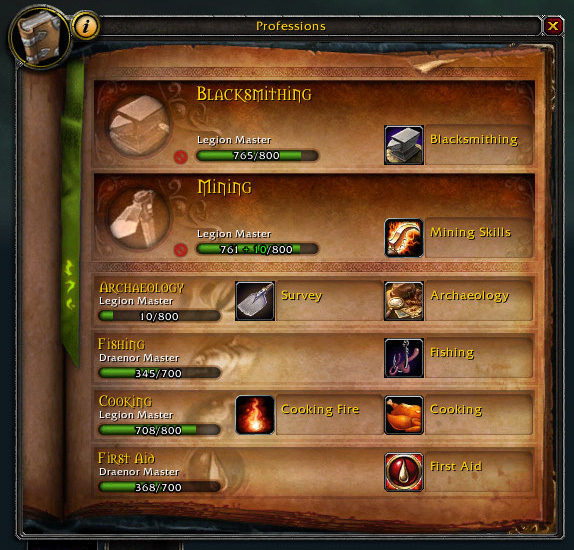 I really love professions, but WoW has really screwed the pooch with them, this expansion. As for my otomes, I haven't really gotten much done in either of them with work. I usually play them on my lunch breaks, but October didn't leave me with many of those that weren't thirty minute "hurry up and eat" breaks.